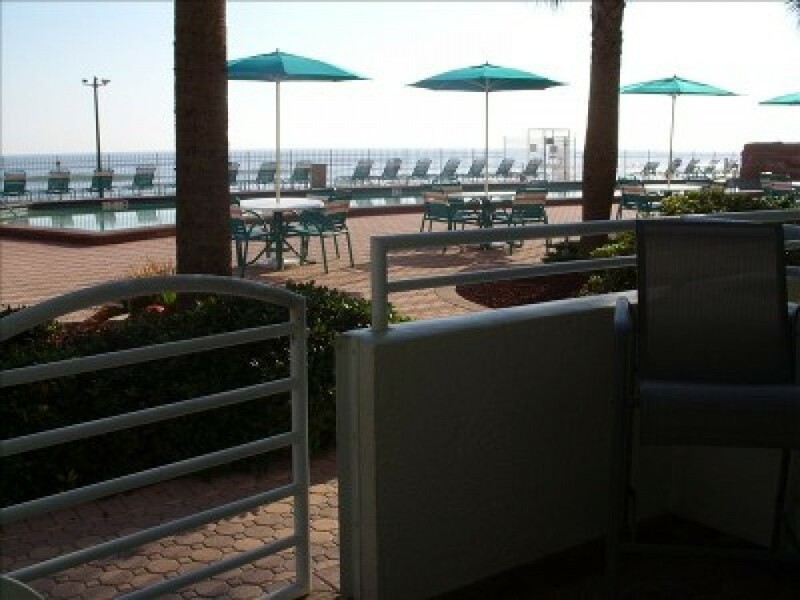 Enjoy ONE OF THE LARGEST HEATED POOLS IN DAYTONA as well as a warm bubbling Jacuzzi, both overlook the Ocean surrounded by beautiful landscaping. Listening to the Sounds of the waves of the Ocean and the pool side waterfall, will make enjoying the patio in the evening even more relaxing, romantic, and beautiful. To help you prepare your favorite meals, you\'ll find everything needed for kitchen ware.There are 3 BBQ grills located on the private pool deck to help make dinner fun and enjoyable. For those seeking adventure and fun, you\'ll find Parasailing, Wind surfing, Bungie jumping,Kayaking, Sail Boat rentals, Snorkeling,Scuba Diving, Air Boat Rides, Deep sea fishing, Horseback riding, surfing, and Helicopter rides. Our building is located on the driveable strip of the beach. You can view the beach by car, as well as rent 4 wheel ATVs, Golf Carts and Bicycles,and Scooters to ride on the beach. Within walking distance (6 to 8 blocks) you\'ll find games, rides, food, and a movie theater at the pier and boardwalk. Enjoy watching fireworks as they are launched from the pier most every Saturday night in the Summer,(weather permitting)they can also be seen from the balconies and pool deck of our Resort. Take a ride on a dinner cruise boat, visit the lighthouse on the end of the island, go fishing at the pier.